19 December 2018: The EU is taking action to reduce plastic pollution by setting tough new restrictions on certain single-use plastic products. The presidency of the Council today reached a provisional agreement with the European Parliament on a new directive which is part of the EU’s efforts to protect the environment and reduce marine litter. The single-use plastics directive builds on the EU’s existing waste legislation but goes further by setting even stricter rules for those types of products and packaging which are among the top ten most frequently found items polluting European beaches. The new rules will ban the use of certain throwaway plastic products for which alternatives exist. In addition, specific measures will be introduced to reduce the use of the most frequently littered plastic products. Single-use plastic products are made wholly or partly of plastic and are typically intended to be used just once or for a short period of time before they are thrown away. The design of plastic products should always take into account the reusability and recyclability of the product. One of the main purposes of this directive is to reduce the amount of plastic waste which we create. Where possible, the measures laid down in this directive and their implementation should give priority to waste prevention or to the transition to re-usable products rather than to other single-use alternatives. Products made from oxo-degradable plastic: this term refers to plastic materials which contain additives that promote oxidation of that plastic into micro fragments under aerobic conditions. This type of plastic contributes to microplastic pollution in the environment, is not compostable and negatively affects the recycling of conventional plastic. Food containers made of plastic, such as fast food boxes, with or without a cover, used to contain food that is intended for immediate consumption either on-the-spot or take-away, and that is ready to be consumed without any further preparation, like cooking, boiling or heating. 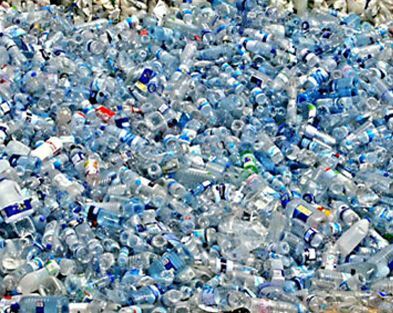 There will be a binding target of at least 25% of recycled plastic for PET beverage bottles from 2025 onwards, calculated as an average for the member state. 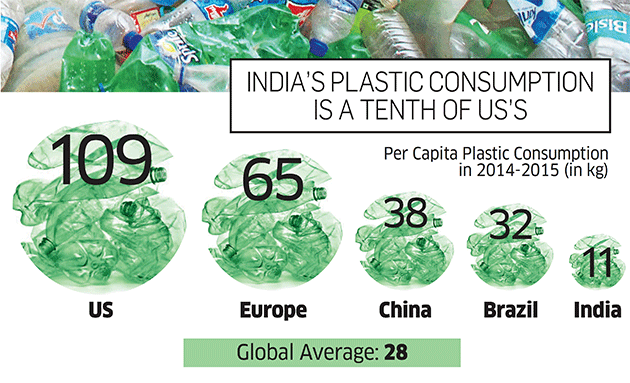 In 2030 all plastic bottles will have to respect a target of at least 30% of recycled content. Wet wipes, i.e. pre-wetted personal care and domestic wipes, will need to bear a marking on their packaging which informs consumers of the presence of plastic in the wet wipe and of the harm done to the environment if it is thrown away elsewhere than in the bin. Producers of tobacco filters which contain plastic will be subject to an extended producer responsibility scheme. This means that producers will have to cover the costs for public collection systems for cigarette stubs, including the necessary infrastructure such as appropriate waste receptacles in common litter hotspots. Tobacco product filters containing plastic are the second most littered single-use plastic items in the EU. Innovation and product development are expected to provide viable alternatives to filters containing plastic, and the co-legislators agree that this development needs to be accelerated. Cigarettes and other tobacco products which have filters that contain plastic will need to bear a marking on their packaging which informs consumers of the presence of plastic and of the harm done to the environment if the cigarette stubs are thrown away elsewhere than in the bin. The proposal under discussion is part of the EU’s plastics strategy. The European Commission has presented this draft directive in late May 2018. Environment ministers discussed the proposal at their meetings on 25 June and on 9 October. The Council reached its position on 31 October and began trilogue negotiations with the European Parliament on 6 November which ended in a provisional agreement today. If this agreement is confirmed by EU ambassadors of member states, the directive can be submitted for approval to the European Parliament and then back to the Council for final adoption. 28 May 2018: The European Commission proposed banning single-use plastic products such as plastic straws, stirrers, cutlery, cotton buds and balloon sticks and putting the burden of cleaning up waste on manufacturers in an effort to reduce marine litter. Under the proposal, single-use plastic products with readily available alternatives will be banned and replaced with more environmentally sustainable materials. The plastic items targeted by the ban are cotton buds (except for swabs for medical purposes), forks, knives, spoons, chopsticks, plates, straws, beverage stirrers and sticks for balloons. Where there are no readily available alternatives, such as plastic fast-food containers, the EU says member states must respect a polluter pays principle. Companies making such items will have to cover the costs of waste management and the clean-up of marine waste, along with measures to raise awareness to prevent and reduce such litter. Vicevoorzitter Frans Timmermans van de Europese Commissie heeft wetsvoorstellen gepresenteerd die de ophoping van plastic afval in de oceanen moet tegengaan. Wattenstaafjes, rietjes, wegwerpbestek en -borden, ballonnenstokjes, roerstaafjes en andere plastic wegwerpvoorwerpen waarvoor duurzame en betaalbare alternatieven zijn, moeten worden verboden. Het gebruik van plastic wegwerp drinkbekers, voedselbakjes, chipszakjes, snoepwikkels, ballonnen en maaltijdverpakkingen moet worden teruggedrongen door fabrikanten mee te laten betalen aan het opruimen ervan. Ook van sigarettenproducenten wordt een bijdrage gevraagd. Ook komen er bewustwordingscampagnes. 25 Februari 2018: A top EU official hinted that legislation to cut plastic waste in Europe is coming soon. Frans Timmermans, the first vice president of the European Commission, made the comment after Britain’s environment minister Michael Gove, a pro-Brexiter, suggested that staying in the EU would make it harder for the UK to create environmental laws such as banning plastic drinking straws. The EU is waging war against plastic waste as part of an urgent plan to clean up Europe’s act and ensure that every piece of packaging on the continent is reusable or recyclable by 2030. Speaking to some European newspapers, the vice-president of the commission, Frans Timmermans, said Brussels’ priority was to clamp down on “single-use plastics that take five seconds to produce, you use it for five minutes and it takes 500 years to break down again”. Timmermans said, were throw-away items such as drinking straws, “lively coloured” bottles that do not degrade, coffee cups, lids and stirrers, cutlery and takeaway packaging. The Queen of England has banned plastic straws and bottles from the royal estates as part of a move to cut back on the use of plastics at all levels. Buckingham Palace outlined new waste plans and said there was a strong desire to tackle the issue in the royal household, in a move thought to be inspired by David Attenborough. Across the organisation, the royal household is committed to reducing its environmental impact. The new measures include gradually phasing out plastic straws in public cafes and banning them altogether in staff dining rooms. Tottenham Hotspur is pledging to eliminate all plastic straws, stirrers and cutlery from the opening day of its new £850 million stadium in north London. None of these items will be stocked in future nor will alternatives come in disposable plastic packaging. All new supplier contracts will also contain a requirement to reduce single-use plastics and the club will replace its current 5p carrier bags with ones which are biodegradable. Its ban on single-use plastics will extend to all parts of the club, including premium areas within the stadium, and its One Hotspur membership scheme. Members will now receive a Bag for Life when the next season starts. The new 62,000 seated venue is a replacement to the now demolished White Hart Lane site, its traditional home for over 100 years. The stadium is planned for completion in 2018 having been under construction for the past three years. Het Europees Parlement wil dat wegwerpplastic vanaf 2021 wordt verboden. Het gaat onder meer om rietjes, bestek, borden, ballonstokjes en roer- en wattenstaafjes. Dergelijke producten belanden nu vaak als zwerfvuil op straat of in zee. Een groot deel van het Europees Parlement stemde in met het voorstel. Dit betekent nog niet dat het verbod er daadwerkelijk komt. Ook de milieuministers van de lidstaten moeten akkoord gaan. Als het verbod er komt, moeten plastic wattenstaafjes, bestek, bordjes, rietjes, roerstaafjes en stokjes van ballonnen voortaan gemaakt zijn van duurzaam materiaal. 70 procent van al het afval in de zee bestaat volgens de Europese Commissie uit deze plastic producten. Bovendien moet het gebruik van plastic bakjes voor eten en wegwerpbekers worden teruggedrongen. Verder moeten fabrikanten van bijvoorbeeld snoepwikkels en sigarettenfilters meebetalen aan afvalverwerking. Het parlement wil ook dat negen op de tien plastic flessen in 2025 gescheiden worden ingezameld, bijvoorbeeld via statiegeldregelingen. Ruim een op de drie flessen moet dan van hergebruikt plastic zijn gemaakt. Het is een plan van EU-commissarissen Frans Timmermans (Betere Regelgeving) en Jyrki Katainen (Groei). 571 parlementsleden stemden voor en 53 tegen. Volgens de EU-commissarissen vormt plastic afval in de oceanen een gevaar voor mens en dier. Vissen, vogels, walvissen en schelpdieren eten het afval op en daar worden ze ziek van. Bovendien komt het plastic zo uiteindelijk ook in het voedsel van mensen terecht. Verder noemt de commissie al het wegwerpplastic een verspilling van grondstoffen. En verspilling is weer slecht voor de economie. Brussel hoopt dat dit verbod bedrijven aanspoort met duurzame alternatieven te komen. Eerder verplichtte de Europese Unie alle lidstaten al om het gebruik van plastic tassen te verminderen. Sinds die maatregel is ingevoerd, is het aantal plastic tassen in de Noordzee meer dan gehalveerd.